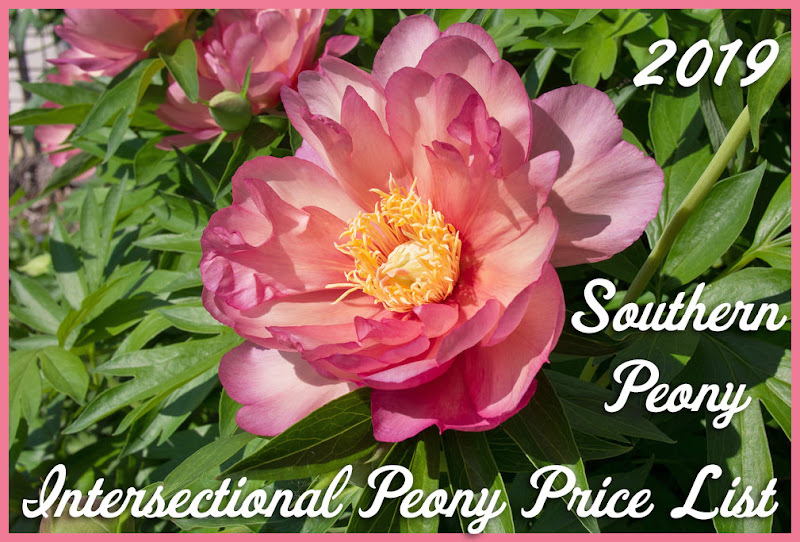 Southern Peony: 2017 Intersectional Peony 'Sonoma YeDo' Blooms! Remember that box I received in January, 2017 First Intersectional Peony Gift from a Friend? Well, I am happy to report that it actually did bloom this year. 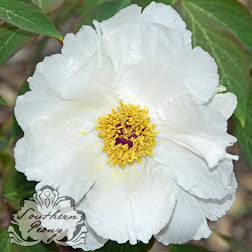 This Intersectional Peony 'Sonoma YeDo' had only one bloom on it this year, but what a lovely bloom it is! The flower is so full, so full of petals of a rich, luxurious yellow. I haven't seen another peony quite like it. I was so tempted to cut this flower in bud to enter it into this year's 2017 American Peony Society Convention in Raleigh, NC, but I just couldn't resist seeing it bloom in my own garden! I'm guessing this gorgeous flower probably would have won a ribbon in the Exhibition, but seeing it bloom on the bush was worth missing out on a ribbon! Plus I want to keep as much foliage as possible on this Intersectional Peony 'Sonoma YeDo' bush so that it can grow even larger next year!